Welcome to the Cat Litter Accessories superstore! It's not something anyone likes to deal with, but kitty litter is a fact of life for anyone who owns a cat. 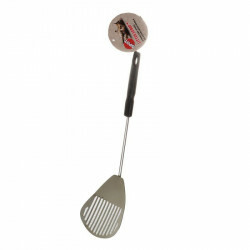 Fortunately, we've got everything you need to deal with this stinker of a problem in a quick, easy and sanitary way. 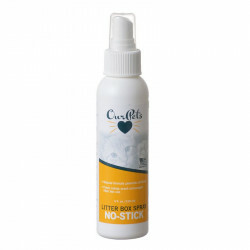 From germ-killing litter box wipes to efficient, hand-held scoops that pick up the poop without grabbing the litter, to trackless litter mats that prevent your cat from tracking its poopy paws all around the house, our huge selection of products is designed to make dealing with your cat's litter box so much more convenient. 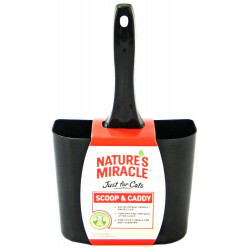 Pet Mountain's Cat Litter Accessories store features top quality products from the most trusted names in cat care, litter boxes and waste disposal, including Nature's Miracle, Van Ness, Petmate, and Spot. 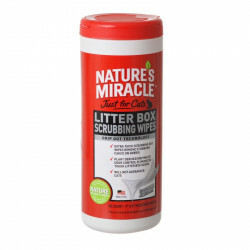 Nature's Miracle Just For Cats Litter Box Wipes utilize natural yucca extract to clean and deodorize your cat's litter box, helping to maintain a fresh smelling and hygienic environment for your pets. 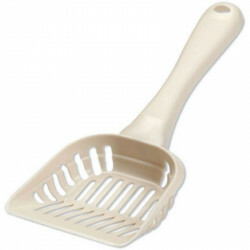 Yucca extract eliminates tough litter box odors, and each wipe is quilted to remove dried on pet waste. 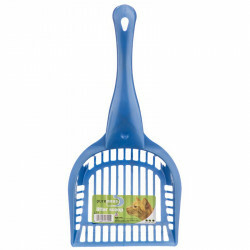 Van Ness Litter Scoops are the ideal scoops for clumping litter! 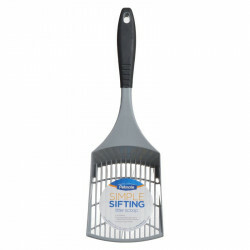 Featuring easy grip handles and high impact plastic, these scoops will not break, slip or rust and are super easy to clean. 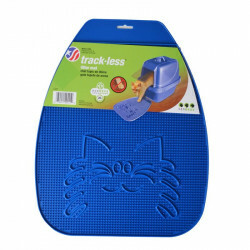 The Van Ness Track-Less Litter Mat is a textured vinyl surface of this mat helps to remove excess litter from your cat's paws as he exits the litter box. 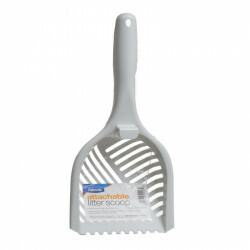 Helps keep litter from being tracked into other parts of the house.